Charger II Semi-Trailer | Ray-Man, Inc. The Charger II Semi-Trailers are designed as a complete trailer. 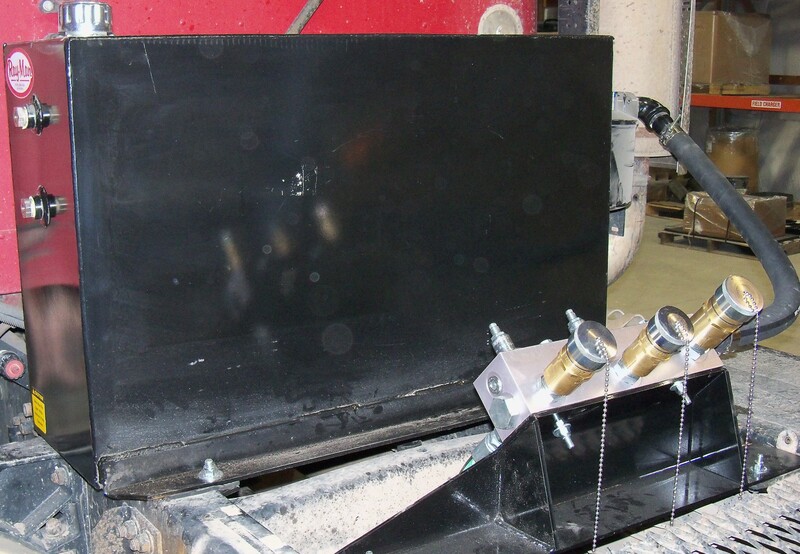 Our integral trailer framework utilizes the hopper sub-frame, tubular steel “X” bracing and the main frame rails to achieve a superior strength to weight ratio. Charger II Semi-Trailers are available in different lengths to accommodate your individual capacity needs and maximize your payload. 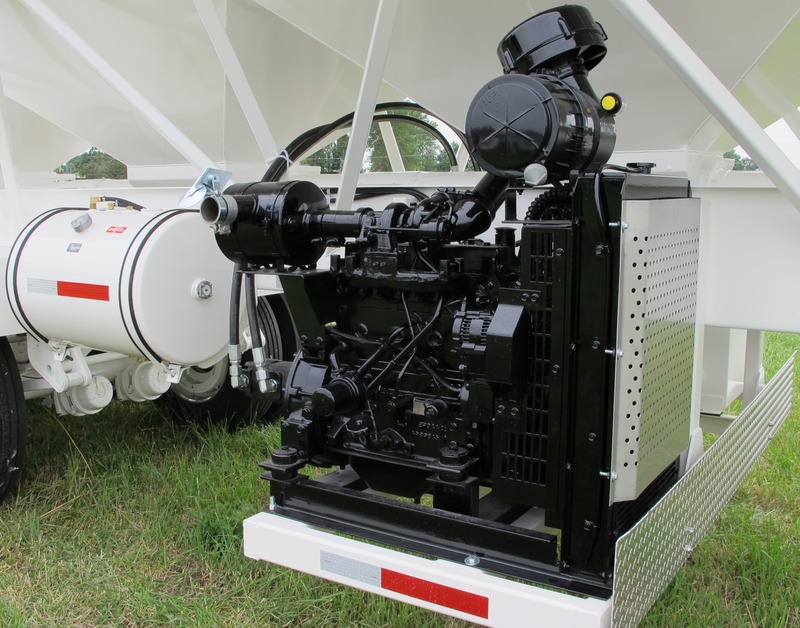 The Charger II Semi-Trailer can be powered by a hydraulic wet kit or with a self-contained power pack. The tandem-hydraulic wet kit mounts on the tractor and is lightweight, economical and efficient. 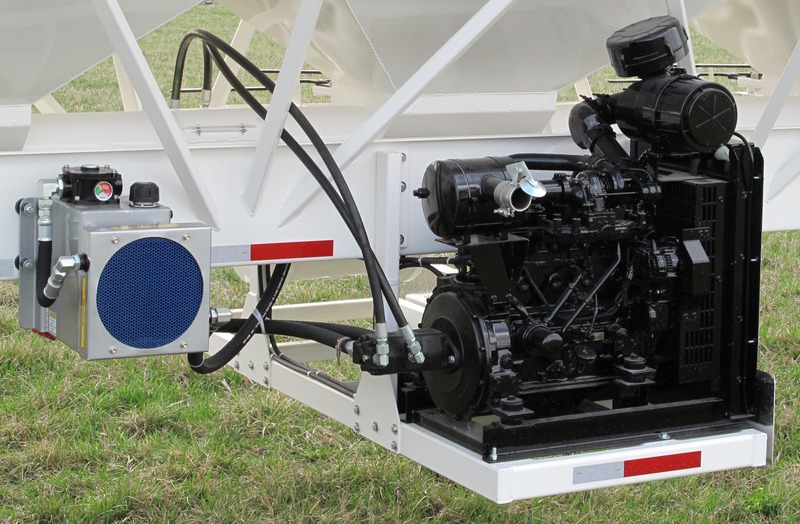 The self-contained diesel power pack is mounted to the semi-trailer framework. This option allows any tractor to pull the semi-trailer. The semi-trailer can be dropped off at a remote location and still unload at full capacity.